The recent acts of terrorism in Paris stunned the world, when 150 were killed and more than 300 were wounded. But the collateral damage went far beyond buildings being ripped apart and one of the most popular cities in the world being virtually shut down. 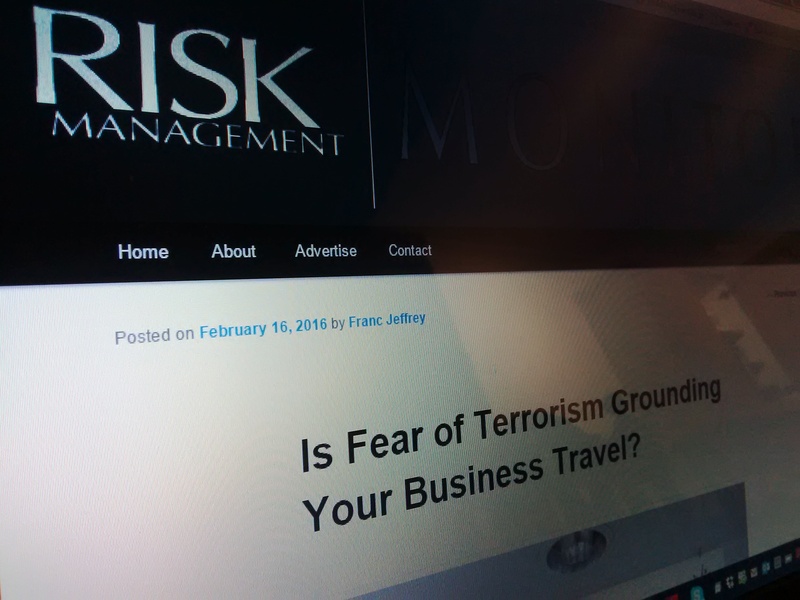 Business Travel Coalition, a U.S.-based lobby group, recently released a survey of 84 corporate, university and government travel and risk managers from 17 countries on their attitudes of trips to France following the bombings. Twenty-one percent of the respondents said they were very or somewhat likely to cancel travel to France for “some period of time,” and 20% were somewhat likely to cancel travel to and within Europe. A large majority said they’d probably allow employees to decide whether they were prepared to head to France. One in five corporate travel managers is likely to cancel trips to Paris “for some period of time.” These are not surprising statistics. Terrorism has been defined as “The use of violence to instill a state of fear,” and that effect is far-reaching; a bomb explodes in Paris and it’s likely that 5,600 miles away in California some corporate risk manager for a Fortune 500 company is seriously considering cancelling a business trip to Europe—a visceral reaction that could cost his company untold sums of money. Mission accomplished. I fully realize that the fire that fuels business owners is the desire to overcome any obstacles perceived to hinder the bottom-line. But there’s no way a sane person can watch the news today and not wonder, “What is the risk of undertaking a business trip overseas? Will I fall victim to a terrorist act?” I contend that the answer to this question is to put your risk in perspective. Although it’s a sad state of affairs that there will most likely be another terrorist attack in Europe sometime in 2016, it doesn’t mean that a high degree of risk involved for you, personally. According to the U.S. State Department, the number of U.S. citizens killed overseas by incidents of terrorism from 2001 to 2013 was 350. In other words, your odds are greater to be killed in a car crash (one in 19,000), drown in your bathtub (one in 800,000), or be struck by lightning (one in 5.5 million) than to perish in a terrorist attack (one in 20 million). It is important that we don’t allow acts of terrorism to knock the wheels off our economy. Business travel is a key element in making us what we are, so it’s imperative that we mitigate that risk whenever possible. The first thing is to make sure you are not so focused on terrorism that you fall victim to the common risks swirling around us every day. For instance, when traveling overseas don’t be so obsessed with where you think an incident might happen (no matter how statistically unlikely) that you select an alternate route that takes you through the last place on earth where you’d want to get a flat tire in the middle of the night. Second, minimize the risks you have control over. Stay up-to-date on the State Department’s list of global hot spots, and have your business travel professional plan each step, down to the slightest detail (air, hotels, ground and communication). Detailed planning is paramount because with any type of business travel in these uncertain and even downright scary times, it is all about controlling the risk. And that can start with the simple act of driving carefully on the way to the airport. That way the most likely risk you’ll ever face on your trip is already behind you before you even board the plane.